A scarf to go with your Hobbit ears! 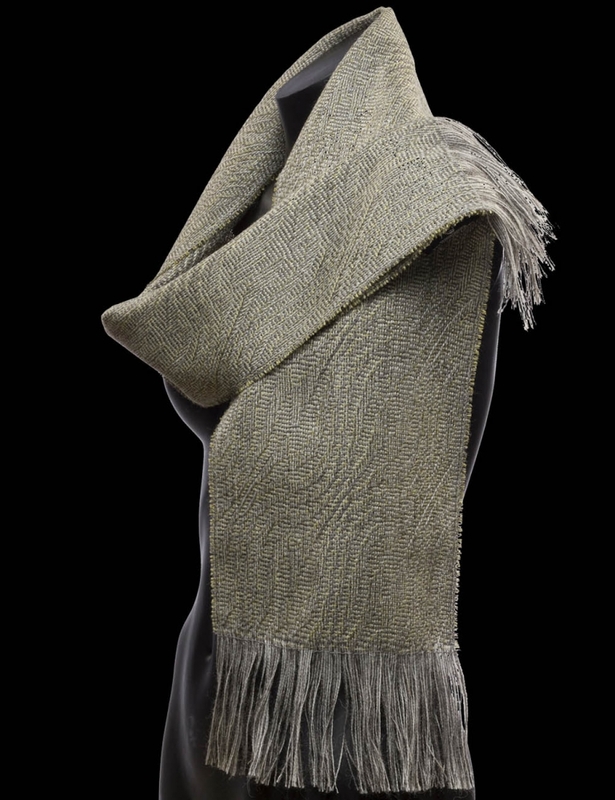 Made from the authentic silky 'Fellowship Cloak' fabric as used in the The Lord of the Rings trilogy. This is without a doubt my favourite scarf! The fabric, weave and colours of the scarf are absolutely beautiful. Plus it's a little piece of the Fellowship cloak fabric which is, well... awesome! Made from 100% 'Stansborough Grey' Wool, this scarf is the perfect companion to your Hobbit Ears, either Sam's or Frodo's! When Cheryl and Barry Eldridge of Stansborough looked to diversify the farming activities on Stansborough, their New Zealand sheep station, twelve years ago, they never knew the results would be seen on the cinema screens around the world. The homegrown woven wool from their flock of unique sheep was used by the lead characters appearing in the blockbuster The Lord of the Rings trilogy. These scarves will ship directly from New Zealand to locations all over the world. "A quality scarf for hobbits and non-hobbits alike. The feel of the scarf is amazing, very rustic but smooth and comforting at the same time - you really get a sense of the traditional. I'm looking forward to wearing this everywhere I go in the future - it looks like it should last me a while yet."